Refer friends, colleagues, and neighbors (maybe even that stranger you met on the bus). For each referral that becomes a customer, you’ll earn a $100 Amazon gift card! Interested? It’s easy to get started. Think our B2B lead generation software solutions are the bee’s knees? Join our referral program by clicking on the ‘Refer Now’ button below and simply enter your name and email into the form. After joining our referral program, you can immediately start telling everyone you know about the awesome power of Clickback. Just use the unique referral link that’s provided to you when you sign up. When someone you’ve referred becomes a customer (thank you! ), you’ll receive a $100 Amazon gift card! Yeah, it’s that easy. Can anyone join Clickback’s referral program? Yup. Anyone can join our referral program! So whether you’re a current customer or just an avid fan, we appreciate you spreading the word about Clickback to your network. Once you hit the ‘Join Now’ button above and fill out the form, you’ll instantly become a member of our referral program. This allows you to share a unique referral link with your network – whether it’s through email or social media. You’ll also receive a welcome email that contains your referral link and the login credentials to your online member portal. There is no cap on how much you can earn from referrals. However, it’s important to know that you will only be rewarded for new customer referrals. Additionally, self-referrals are not eligible to receive a reward. But if you are interested in learning more about our B2B lead generation software, we encourage you to visit our home page. We’d be happy to help you accelerate your lead generation! What companies are a good fit for Clickback? We typically see the best success with mid-sized companies in the B2B space who are looking to accelerate their lead generation. They’re usually marketers who are key decision makers at the company (i.e. CMO’s, VP’s, etc.). If you know someone who works at this type of business and think they could benefit from our B2B lead generation software, send them our way! You can sign into your member page at any time to view and track your referrals. Rewards will only be paid once your referral becomes a customer. Yes. We have a partner program for agencies and data providers. If you’re a data provider and want to learn more about our program, or if you want to become a data partner, you can go here. If you’re an agency and want to learn more about our program, or if you want to become an agency partner, you can go here. Do I get paid in US or CDN? 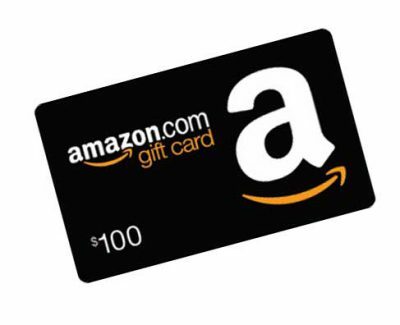 For each referral that comes through your unique referral link and becomes a customer you’ll receive a $100 USD Amazon Gift Card, which can then be used on Amazon.com. When will I get my Amazon Gift Card? The card will be delivered by email after the referral is deemed an eligible Referral Customer (see program terms and conditions for more details). Already Joined Our Referral Program? Log into your member page to refer others and track your success.